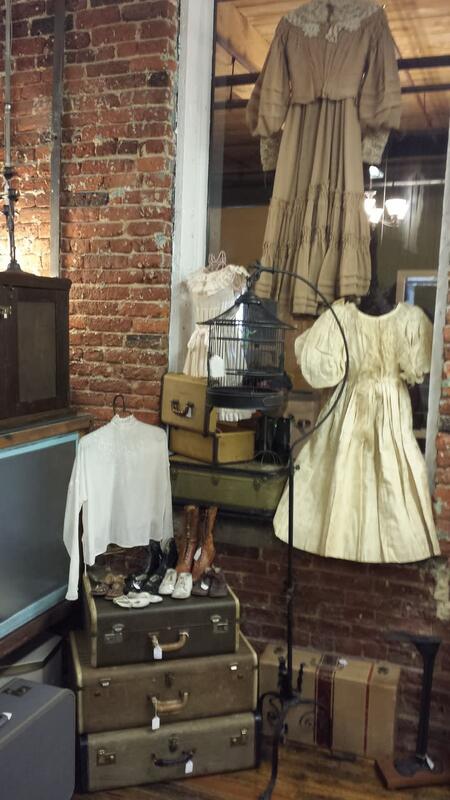 Located in Suite H-1 of the upper level of Lexington’s Old Mill, Lake Murray Treasures has the largest selection of antique and vintage clothing and accessories in the area, specializing in things made in the U.S.A. 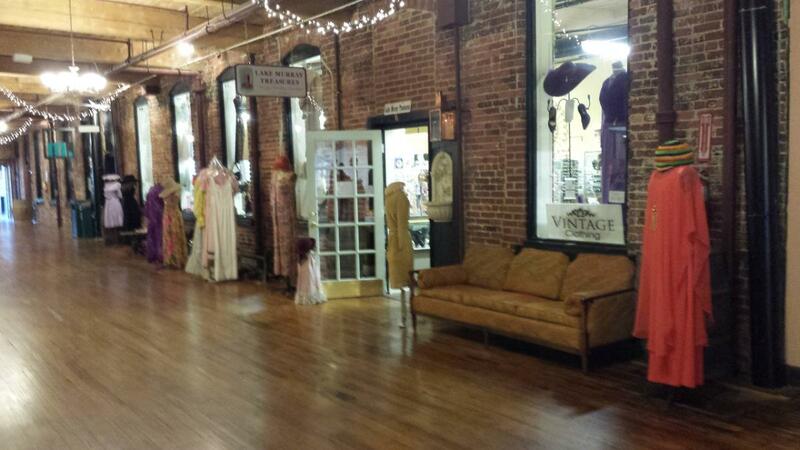 Included are wedding attire, formal gowns, lingerie, hats, purses and evening bags, shoes and gloves, and an impressive selection of antique, vintage costume and fine jewelry. Vintage furs and coats are also available. We also carry jewelry boxes, trinket boxes, vanity items, glassware, collectibles, linens and gift items.